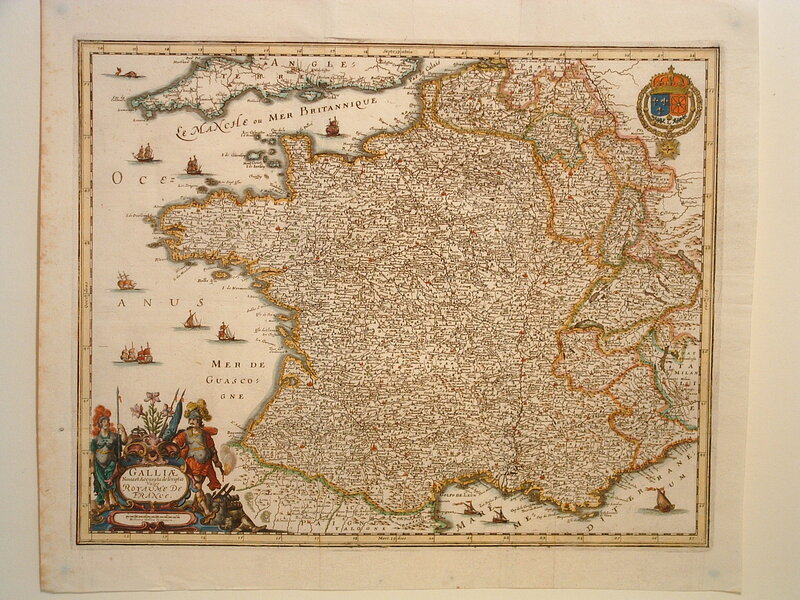 Authentic and Original Antique Maps and Atlases from the 16th to the 19th Centuries. A dark impression. Some light toning in margins. 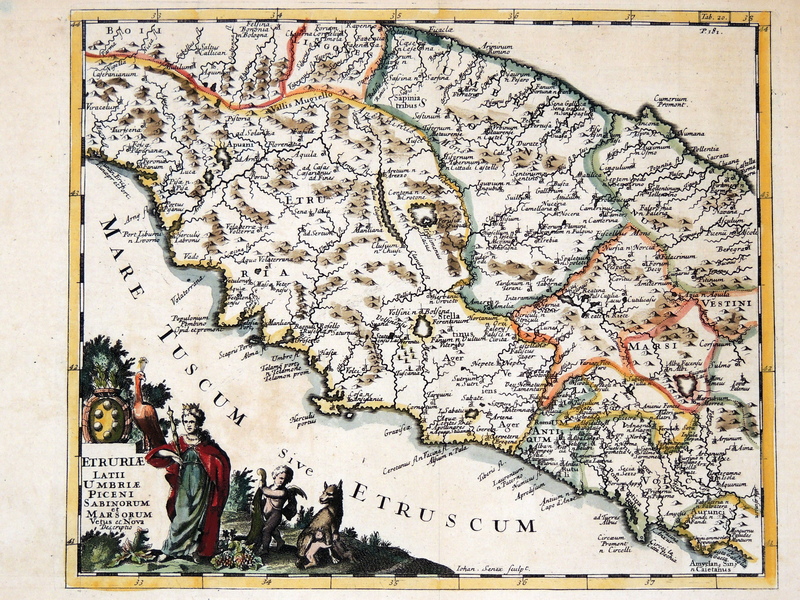 Engraved by John Senex, the map is centered on Perugia and Lake Trasimeno. It extends from Tuscany on the west coast to Umbria on the east coast. An allegorical title cartouche depicts a queen, a peacock, a putto with a cornucopia and Romulus and Remus suckling. Ample margins with faint dampness stains in the top, two small worm holes in the bottom and a repaired tear in the lower right margin. A beautiful example of a classic Levasseur steel engraving with vignettes surrounding the chart. Published in Levasseur’s Atlas Universel Illustre. Some paper thinning in spots. A few "burn" marks. But overall a very good map with good margins, a dark impression and well colored. 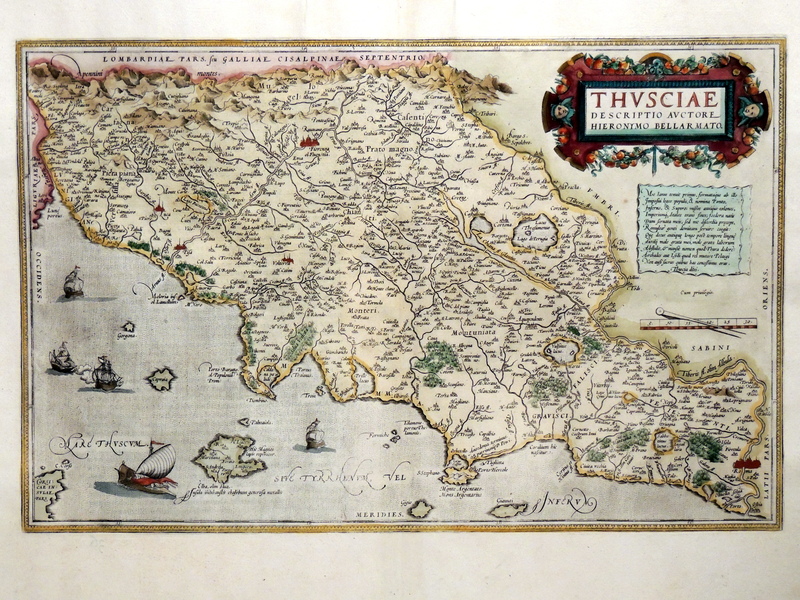 This map by Ortelius is after a map by Giacomo Gastaldi. 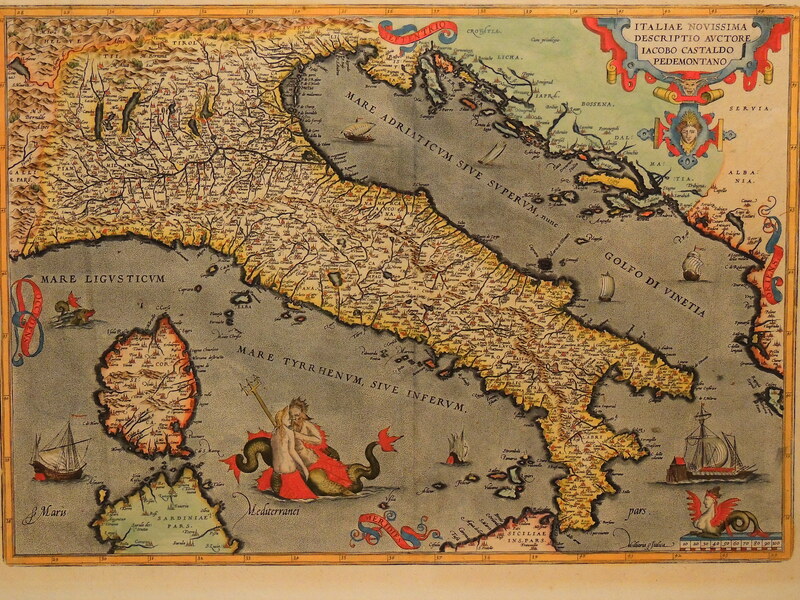 The map includes Corsica, parts of Sardinia and Sicily and the Dalmatian and Albanian coasts. It is adorned with a beautiful title cartouche, sea vessels, sea monsters, Neptune and mermaids. Of note, this edition shows Neptune and a mermaid embracing. A more common edition shows them both facing forward. Learn about Condition and Care. 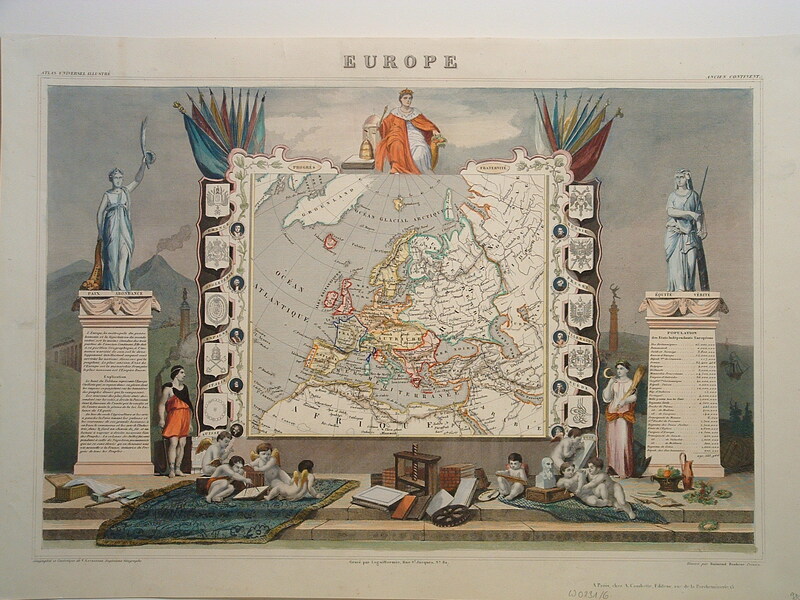 Antique Maps and Atlases by Chicago antique map dealer Mapcarte offering views of Africa, the Americas, Asia, the British Isles, Europe, and the World. MAPCARTE © 2019. All Rights Reserved.